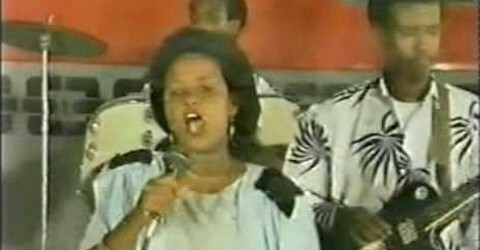 Back with a reminder of much, much happier days in Somalia, our good friend Sanaag passes on almost 80 minutes worth of music by the legendary Afro-funk band Dur Dur, who were among the most popular groups in Mogadishu back in the '80s. You may remember them from this post, and this one. 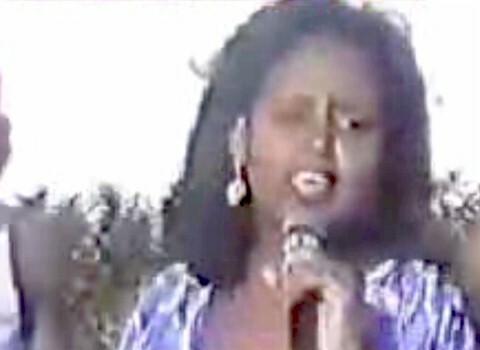 I understand that after the collapse of Somalia in 1991, vocalist Sahra Dawo and other "newer" members of the group relocated to Columbus, Ohio, USA, where they have a presence on Facebook. Sanaag reports that the other members of the "old guard" featured here are scattered all over the world, except Muktar "Idi" Ramadan who unfortunately passed away a few months ago in Saudi Arabia. Durdur's songs are almost always drenched in love. To the best of my knowledge, they didn't address social or political issues during the military dictatorship and that's why their lyrics didn't make a lasting impression on me or flare up my interest in the band; hence my sketchy knowledge about their work and background. 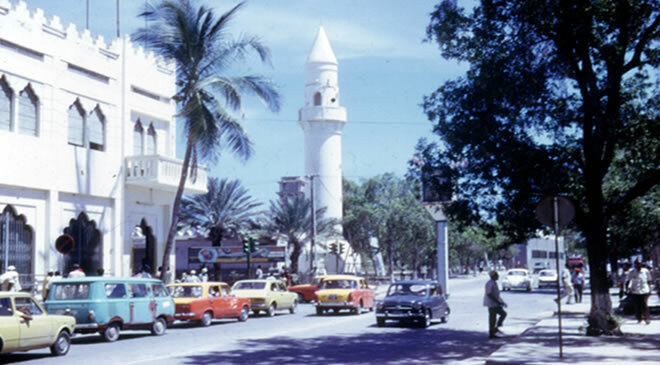 I was really delighted with the post-Siad Barre cassette Andreas posted at Kezira, in which they've several socially engaged tracks. These songs are mainly in southern vernacular languages. I hail from about 1100 kms further up North and, though I understand the basics fairly well, I don't have the required baggage to fathom the linguistic and literary subtleties inherent to these dialects. Neither can I contextualize the songs since I don't know if, as was common during the military dictatorship, some of the songs were meant as protest double entendres, were adopted as such by the general public, if events were associated with them etc. That's why I'd rather not venture into summarizing, let alone publicly interpreting, the lyrics. Nevertheless, all the songs are conspicuously about love and I've tried to translate the tracktitles. Corrections are, of course, most welcome! Dur Dur - Saafiyeey Makaa Samraayee! Dur Dur - Waxan Sugi Ma Helayaa? Dur Dur - Rag Kaleeto Maa Kuu Riyaaqayee? Dur Dur - Ilwaad Quruxeey!